Bakeries are opting for a classic French preparation of days past. camera (Getty Images) A classic New Orleans King Cake. Just when you thought it was safe to resolve swearing off sweets, King Cake season has returned to tempt your palate with French pastry and frangipane. Dating back to the Roman era, and eaten as part of pre-Lenten festivities between Epiphany Day on Jan. 6 and Mardi Gras, King Cakes come in many variations all over the world. But one element of the recipe unifies almost all of them: A porcelain or plastic trinket is hidden inside of the cake, and whoever discovers it is crowned "king for a day." Hence, the name. 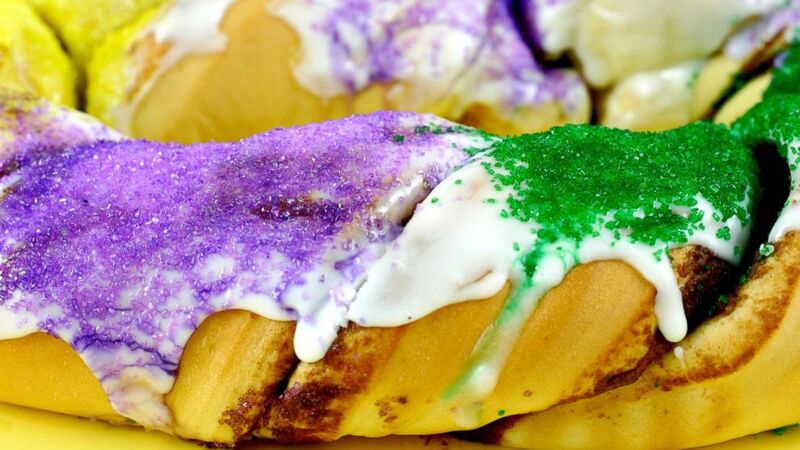 In the U.S., King Cakes are perhaps most recognizable by the style popularized in New Orleans in which a braided, ring-shaped yeast cake, slick with white icing, has been doused in purple, green and yellow crystallized sugar. Because of FDA health code regulations, many American versions of the cake do not contain the surprise trinket either, as it is considered a choking hazard. Instead, the knickknack is often offered on the side or underneath. 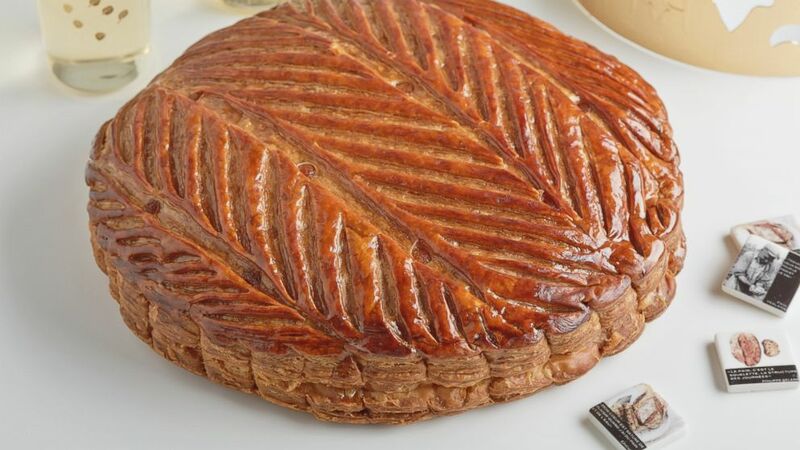 (Benoit) The Galettes des Rois at Benoit arrives in a classic brown paper bag. 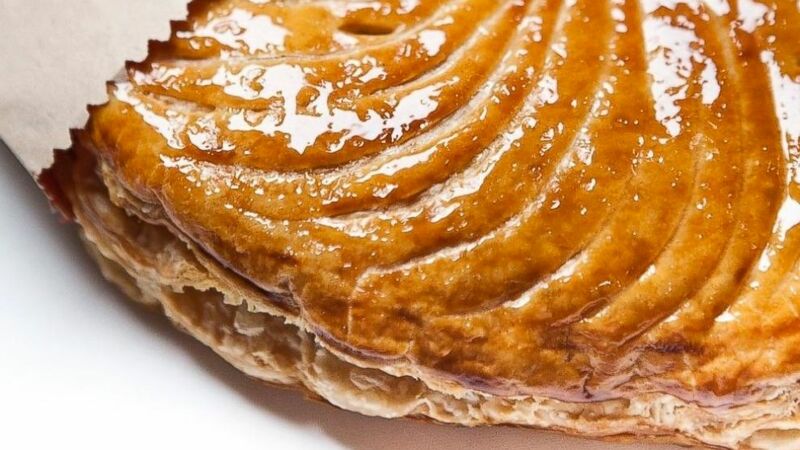 A bevy of French bakeries in the U.S. are finding an increased demand for the traditional European version of the King Cake, a golden-brown disc made of buttery puff pastry and almond filling, known as a Galettes des Rois. 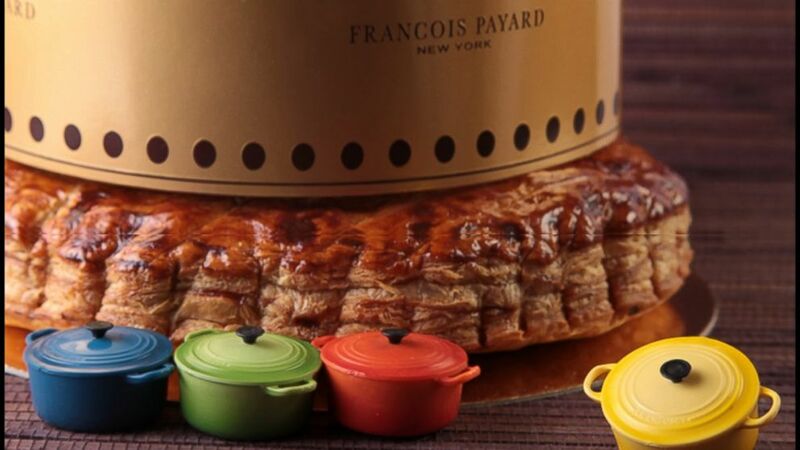 (Maison Kayser) At Francois Payard bakeries, one lucky customer will receive a King Cake with a special Le Creuset trinket baked inside -- signaling that the customer has won a special prize. Some of these galettes are presented on cake stands with a paper crown on top. Others arrive in a paper bag sleeve for handheld enjoyment. Still others are baked with a single fava on the inside, as a substitute for the small toy. (Payard) The King's Cake/Galettes des Rois at Maison Kayser no longer is sold with a trinket baked inside. But one can be, upon request. While these King Cakes all look delicious, children (and adults) may be somewhat less excited to discover a surprise bean in their dessert.